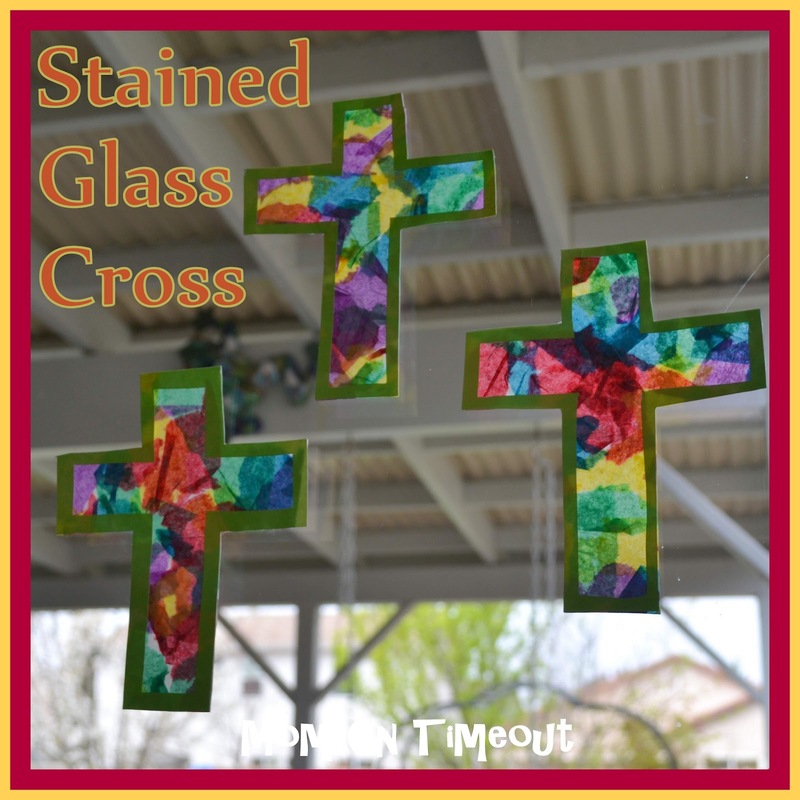 This Stained Glass Cross craft is perfect for kids of all ages and ideal for an Easter craft. I love craft projects that I can do with both of my boys. Stained Glass Crosses is a craft project that all ages can help with and the results are spectacular! 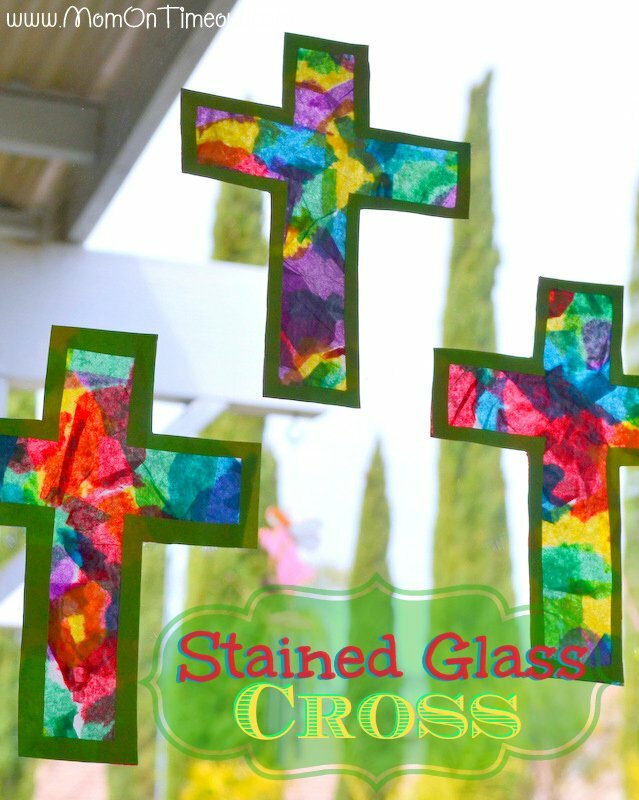 I think this is a great project to do for Easter and the crosses look beautiful on our sliding glass door. Find a helper to tear tissue paper into small pieces. Roll out a piece of wax paper that is double the width of the template. Spread glue onto half of the wax paper using a popsicle stick. Piece by piece add the tissue paper until all the glue is covered. Spread glue onto the other half of the wax paper and fold over on top of the tissue. Smooth the paper and let dry. I like to put something heavy on top so it dries nice and flat. Print out the template and cut out the crosses. I used a craft knife. 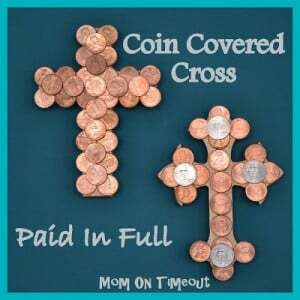 Run a thin line of glue around the perimeter of the crosses on the back of the paper. Turn the paper over and glue it to the wax paper. Let dry. Cut out around the crosses and tape to a well-lit window and enjoy! 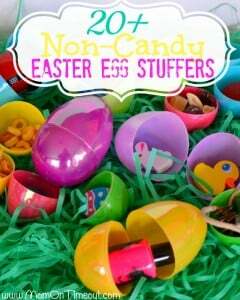 Here is some more Easter inspiration! I do crafts at an Assisted Living facility and we are doing these today. Thank You for the great Idea. Oh how wonderful! 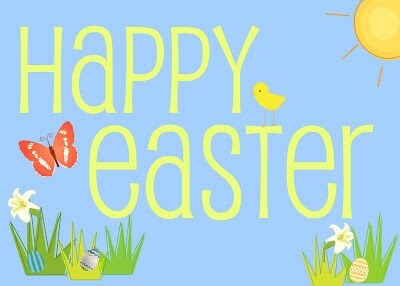 Have a lovely time! Thank you for sharing. We will be doing these as a family! So glad to hear that Nicole! Thank you! Yay! So glad you enjoyed the post Rachel! Thank you so much for this Easter craft! Love it! Thanks for this creative idea! I did this with my son today. That’s wonderful Amma! Thank you so much for stopping by! Thank you so much, Trish, this has so many uses for so many different occasions and holidays. And for so many ages. Bryce did a beautiful job on his rainbow!!! Thank you Roberta! Hope you’re having a lovely weekend!